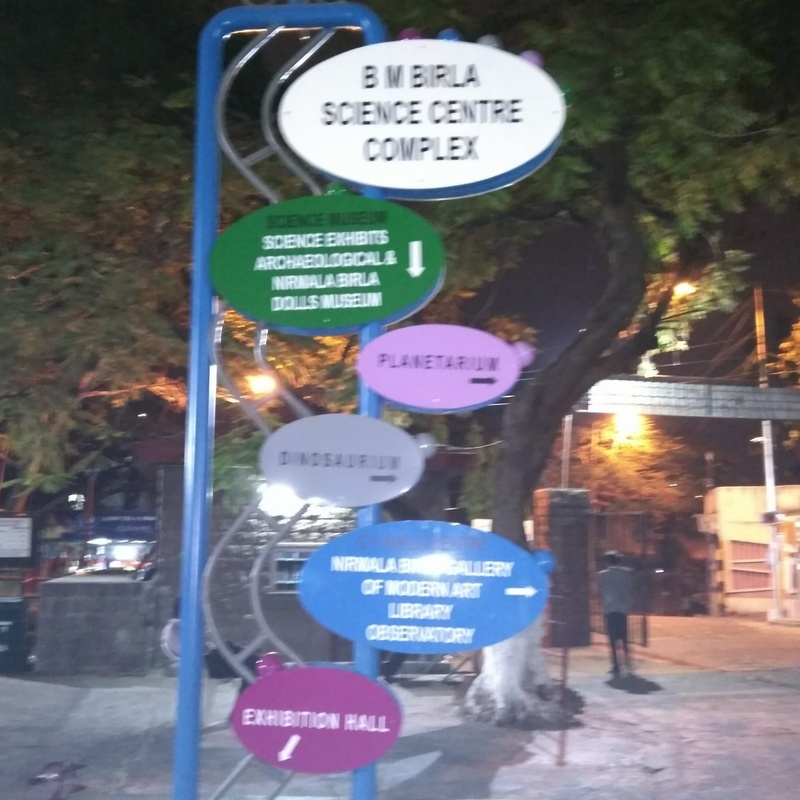 B.M.Birla Planetarium is located in the B.M.Birla Science Centre complex. 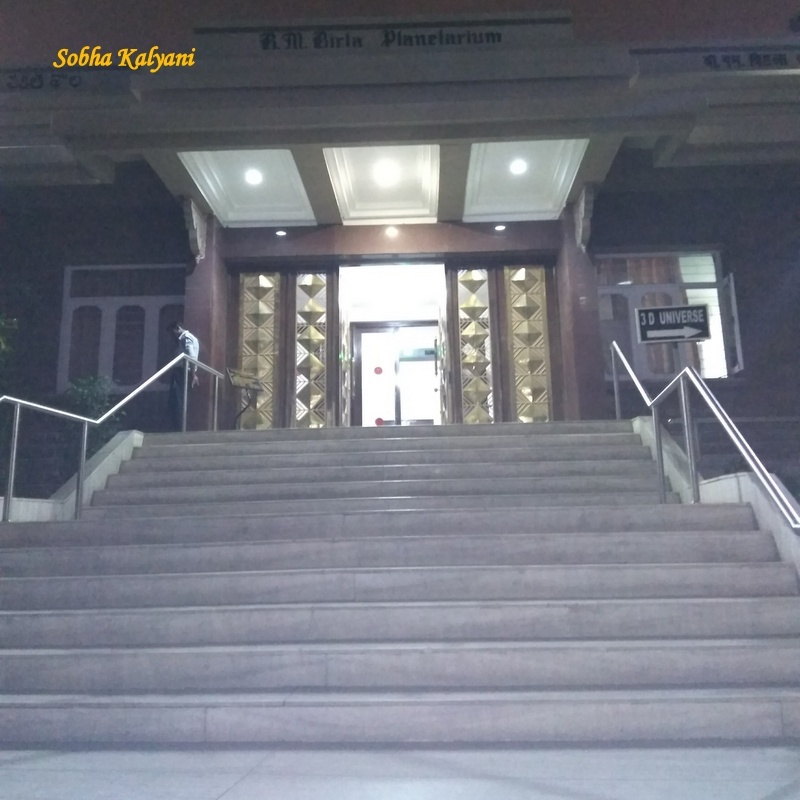 The complex is situated adjacent to Birla temple and these are centrally located on a hillock known as Naubat Pahad. Birla Science Centre Complex is close to the Telangana state legislative assembly and Nampally Railway station. Since its inauguration in 1985, the planetarium is producing and showing sky shows on different themes like 'Fantastic Voyage to the Planets', 'Fantastic Voyage through the solar system', 'The violent universe' etc. The commentary during the show is given in 3 languages viz English, Telugu and Hindi. Tickets for the show can be purchased at the booking counter. Cost of the ticket is Rs.80/- per head. Children under 5 years are not allowed for the show in the sky threatre. Visitors are not allowed to carry eatables inside the theatre and they need to switch off their mobiles before entering into the theatre. There is spacious parking lot inside the complex. Visitors will have a wonderful experience voyaging through the universe in the show. As the show begins, there will be complete darkness in the threate and visitors will get the feeling of watching the night sky live. It looks amazing. There will be wonderful commentary in English for English show, Telugu for Telugu show and Hindi for Hindi show and is easily understandable. 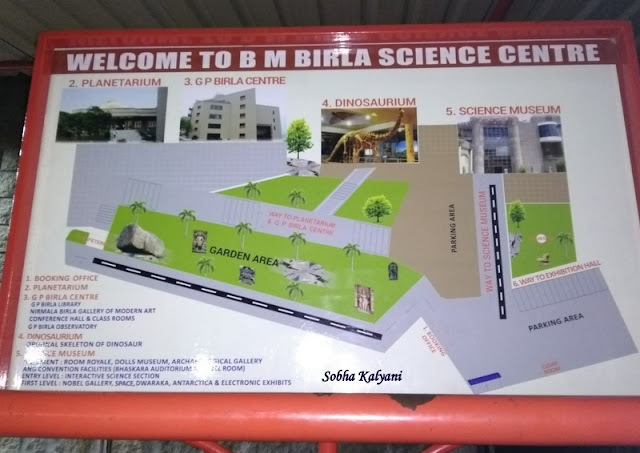 Tourists visiting Hyderabad should not miss the show in the sky theatre in Birla Planetarium which is worth a visit. Those who are much interested in the Universe will really find it amazing.